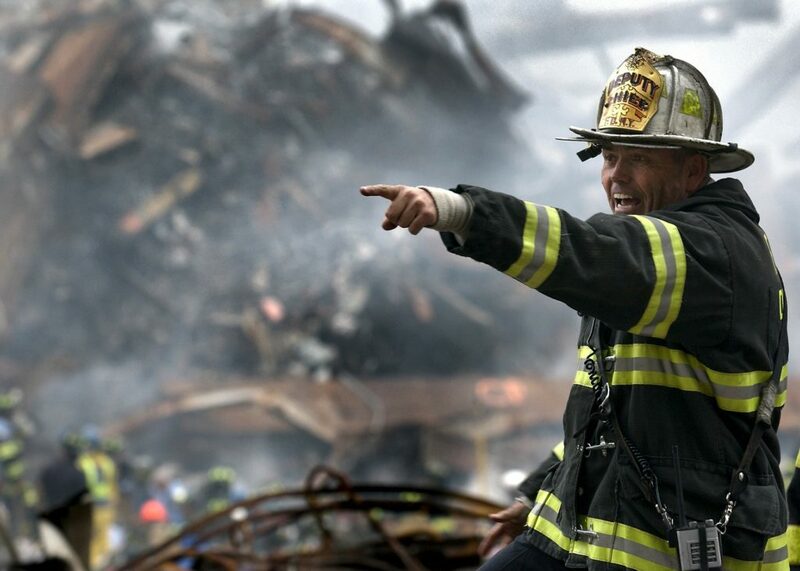 First responders are typically the ones who arrive first at the scene of an emergency. They often put their lives in danger to save other’s lives. 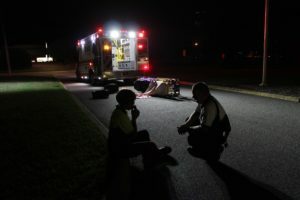 Some responders come to scenes where a person has died, such as a car accident or fire. The amount of stress that these men and women encounter are tremendous. First Responders are those individuals who are firefighters, paramedics, police, military active duty and veterans, park rangers, correction officers, emergency medical technicians (EMT), and other rescue workers . These men and women are highly trained and ready to cope with and manage tough circumstances. Many times the images they see, and the situations they encounter can cause posttraumatic stress disorder (PTSD), acute stress disorder, trauma, and other co-occurring disorders. Often these individuals will turn to substances, alcohol, and drugs to try to cope with on-going stress. These images are often unseen and stay with each first responder for days, weeks, months and years. Often they may feel cut off from ‘normal society’ and are unsure of how to relate to friends, family, and loved ones. With PTSD, symptoms such as flashbacks, intrusive and upsetting memories, and recurring nightmares are common. According to the U.S. Department of Veteran Affairs, up to 31% of those who served in Vietnam, 10% of those from Desert Story, 20% of Iraqi and 11% from Afghanistan struggle with PTSD symptoms and depression . Survivor’s guilt is also shared among this population, where they feel guilty for surviving a horrific event while many around you died. This can also occur in other first responders who were unable to save people’s lives, such as in 9/11. For many first responders, admitting that they are traumatized or are struggling with trauma, survivors guilt, acute stress disorder or other mental health issues is often seen as a sign of weakness, or fear of losing their job . Use of prescription drugs is on the increase among this population. With frequent injuries due to the nature of their career, painkillers may be prescribed which can increase the rate of addiction. Little sleep, long hours, emotional and physical stress and strain of the job can create the perfect environment for addiction to occur. There has been increasing prevention and education programs among organizations to support first responders such as the National Fire Protection Association . This organization works to bring awareness to common mental health issues that are present in first responders. According to the National Institute of Mental Health (NIMH), there are three types of PTSD . The first is re-experiencing which includes overwhelming fears, flashbacks of trauma, and physical symptoms. Hyperarousal, the second type is where a person may feel on edge, intense anger, insomnia or easily startled. The third, avoidance is when they may have feelings of guilt, depression, or being numb to any emotions. Compassion fatigue is mainly when we are unable to be emphatic with someone who is in pain, hurt, or has a chronic illness or terminal illness. It typically is also referred to as ‘burnout’ . Empathy and sympathy are different. Sympathy is when you are able to feel for someone’s suffering where empathy is when you can share in someone’s suffering. Compassion then is when we are more engaged than empathy, and it is a desire to provide alleviation or relief from the pain or suffering. If you are feeling burnout as a first responder, there are some things you can do to strengthen your compassion. First, try to see the situation from another person’s perspective. Being able to objectively look at the situation, or take in someone’s else’s view allows you to take into consideration their feelings, life experiences, and reaction. This can aid in allowing you to have empathy within a difficult situation. Second, try to remain judgment free. It can be difficult if we are feeling the stress of the job to not make judgment calls but try not to look at the situation through your perceptions, beliefs, and personal judgments. Third, try to identify and recognize the emotions with which the sufferer is dealing. Try to name their feelings and work on keeping your experiences out of the conversation. Lastly, validate their emotions and pain. Thank the person you are helping with sharing their feelings or story with you. Sometimes you do not have to say anything, but just being there, acknowledging that they are dealing with a difficult situation and that it is okay to struggle. Being able to care for yourself is essential as a first responder. You have to take care of yourself before you can take care of others. This is called self-compassion. In a job where 99% of your energy is given to others can lead to mental distress and compassion fatigue . There are ways to practice self-compassion. These can be protective factors in managing stress and distress. Self-kindness is the first practice. Positive self-talk during times of pain or struggle is essential. Be kind to yourself and understand that you are witnessing a problematic situation. Keep in mind that we all go through experiences that are traumatic, difficult, and terrifying. It is part of the human experience and connects us all in a small way. Try to remember that the scenes you arrive too are all part of the whole human experience. Lastly, mindfulness is a powerful self-care tool. It is about bringing awareness to the moment and allowing yourself to have an objective view of the experience, rather than let it define you. Activities such as yoga, visualization, rhythmic breathing, and other practices can help you become more mindful. 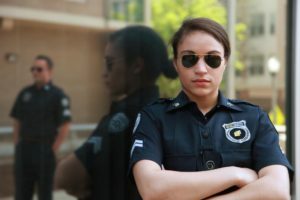 There is no doubt that first responders deal with incredibly difficult situations every day and issues such as addiction, substance abuse, and compassion fatigue can occur. Working on the way you perceive situations and take care of yourself can increase your protective factors allowing you to serve others better.